Reading, MA Addison-Wesley Pub. Co., 1988. very good+ w/very good dustjacket (hardcover). Forward by Jacques-Yves Cousteau. Illustrated by wonderful color. 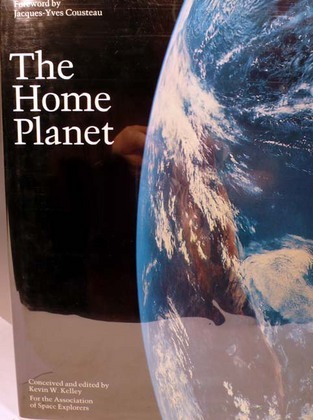 The Home Planet conveys the grandeur of Earth and the mystery of space through 150 stunning photographs, many never before published, selected from the entire Soviet and American archives.